during ritual ceremonies of Summer festivals. Today I would like to introduce Tenyo Bushi whichi is one of the easiest folk songs to play. The restaurant serves authentic Vietnamese cuisine. Their soup is one of the best Vietnamese soup I have ever had. The food was delicious and reasonable prices too. Our condominium held annual holiday party tonight at the club house. I created new bags today. I wanted to let you all know that I've opened a new store on the Internet, which accepts credit cards so it's easier than ever to buy my handbags! You can find it at http://www.etsy.com/shop/JunkoBoutique, or by clicking HERE. Check it often, for new additions and holiday bargains! I am working on new bag today. 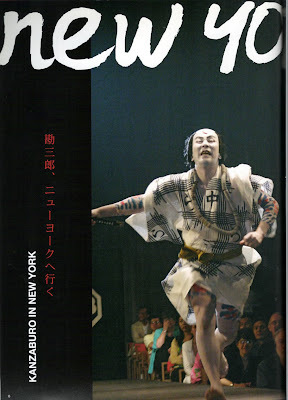 I had an opportunity to see the performance of the Heisei Nakamura Za Kabuki theater which was held in July 2004 at the Summer Festival, the Lincoln Center in New York City. Kanzaburo Nakamura has passed away on December 5th. He was only 57 years old. 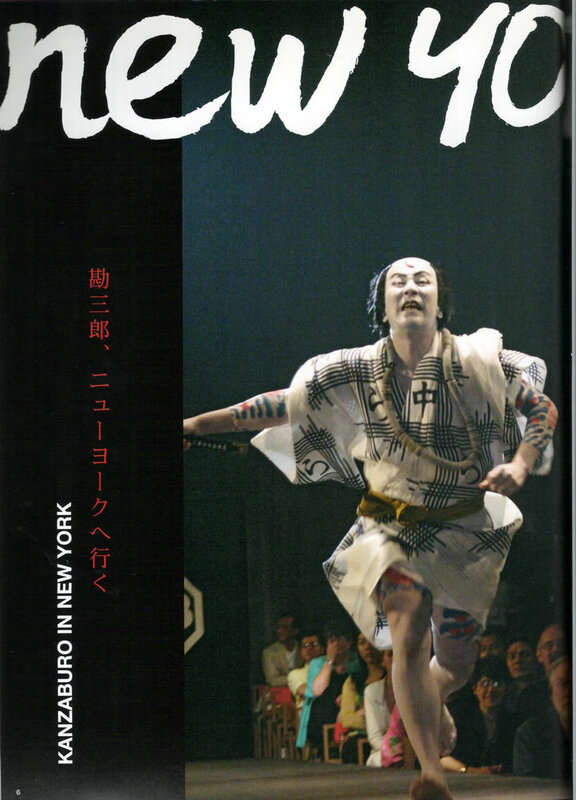 He was the first Kabuki actor to bring Edo-period Kabuki house to the USA in Kabuki History. Today, I would like to talk about one of kind of minyo (Okinawan folk songs) called Love songs. These love songs were sung mainly during plays called Okinawa Shibai or Okinawa Play (Uchina Shibai). The pace of these songs is relatively slow, since they are usually sung by actors playing loving couples who exchange their feelings each other. even though the wind of Spring blows, my flower is not blossoming. Our hearts are like fallen trees, since our love can't be. A brief interpretation: A woman carrying a flower hat is going to see her lover (a high-ranking man she has fallen in love with). A woman is not supposed to have a loving relationship with Satunushi (a man of different rank), but she misses him so much and can't wait to see him, so she hides her face with the flower hat and tries to approach him to see him. The song is performed by only woman. Here is a link of the Hanagasa Bushi performed by Mr. Toru Yonaha, one the greatest musician of Okinawa. 3. Nishin Jo Bushi：A song of the Wast gate. A woman who has fallen in love with a man who is a high-ranking officer (a higher-rank than she) can't marry him, but she loves him deeply. Each time they meet outside the castle, the man tells her after their meeting, "my love, I am going back to castle" and the woman responds "please wait, I will walk with you until you get the Wast gate of the castle". Nishinjo bushi is a theme song of a play called "Nishinjo Aika"l, song performed by woman. These love songs are written as real stories. During the Ryukyu royal system, officers were dispatched to local governments to observe the islands and other villages. Those high-ranking officer sometimes fell in love with women in local villages or islands, even though such love was prohibited during that period. In this regard, they expressed their unfortunate love in music, so many such love songs were written in Ryukyu. Unlike other folk songs, the love songs require emotions for their singing to be effective. As in acting, we have to understand the meaning of the words as much as possible, like actors in a play. I will be happy to teach you! Our first Craft Fair last Saturday wasn't so popular; the organizer told that attendance at the event probably was affected by the aftermath of Hurricane Sandy. Many other public events held on Long Island last month also were unpopular, also likely the result of the aftermath of Sandy. I totally understand that, since most people who live in the Long Island area experience power outages as long as three weeks!. I can't imagine living without lights and heat for three weeks. I totally sympathize with those people, and wish them a warm and happy holiday season! I live in Douglaston, Queens, and we didn't experience any extended blackout, so I could work on my projects as usual, so I feel very lucky. Today, I would like to introduce photos of some of my new bags; please check my web site later for details of these and other new bags.